set for aging in place? Regardless of your age, it's smart to keep planning for the future. After all, one day you'll be a senior too—and you just may not want to give up the lifestyle you've grown to love. Unfortunately, the same iconic design features that make Eichlers so prized are also the sources of some of their greatest home-improvement challenges. Consider the lack of crawlspace, the pipes contained in and under the concrete slab, the post-and-beam construction, the flat roof (and the electrical system it encases), and glass walls. In this regard, the value of seeking the expertise of Eichler-savvy professionals can quickly become obvious. This Keycon, Inc. project installed blocking inside walls for future grab-bar installation. Natural light, seen here radiating into the Leonards' home, is known to be psychologically healthy, an important consideration as we age. When was the last time you did a bathroom remodel and your contractor—the savvy one, of course—recommended adding 'blocking' inside the walls? If you were thinking ahead, into your future as that happy senior carrying on in an Eichler, adding blocking today could come in handy—especially when 'grab bars' are needed to help support your lifestyle. Blocking, according to contractor Ron Key of Keycon, refers to those pieces of wood that are turned on edge and placed horizontally in between the studs to provide anchors for attaching fixtures. "At a minimum," says Key, when you're planning a bath remodel, "make sure that blocking is put inside the walls so they [grab bars] can be added later on. Most people just don't think about it when they remodel." Of course you'll need to make a record, through drawings or photographs, of where your blocking is located. Short of remodeling, there are some relatively simple upgrades that can improve the safety and age-friendliness of bathroom spaces. Key suggests adding high-quality washable paint (for hygienic and practical reasons), a wall-hung vanity (for access from a sitting position), a medicine cabinet with an electrical outlet inside, and possibly a bidet-style water closet. For some seniors, however, a more extensive reworking of the master bathroom may be in order, such as widening the doorway and the space in the bath to allow for an ADA-compliant, roll-in curbless shower. How important are lighting conditions in later years? "As we age, our eyes need more light to see," points out architect John Klopf of Klopf Architecture in San Francisco. "One area that differentiates Eichlers for aging in place is that they have a lot of glass, so they bring in a lot of light. That's good." Natural light is also known to be psychologically healthy, an important consideration as we age, in part because our later years are when we tend to spend more time at home. Furthermore, the Eichlers' original single-pane windows are not tempered, so they do represent a potential safety hazard. When broken, they can shatter into large shards—very dangerous, especially if children are involved. 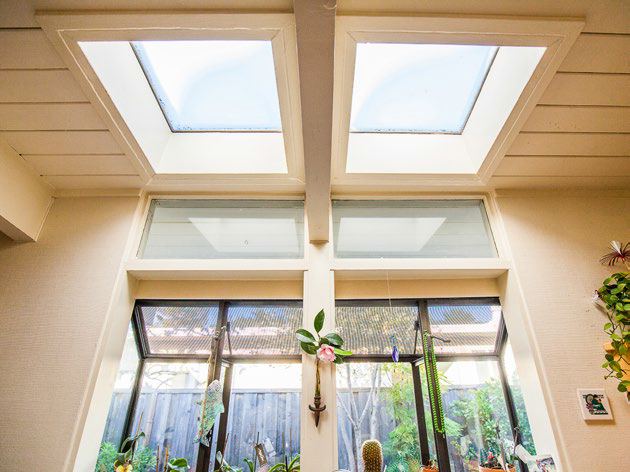 As both a safety precaution and insulation benefit, Klopf recommends replacing the original single panes with double-pane, tempered panels, or covering them with safety film. 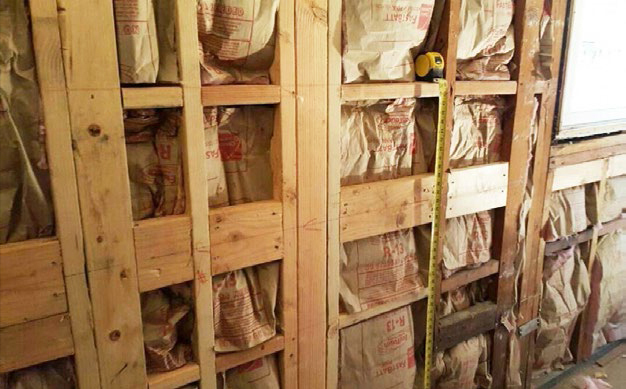 The latter solution won't insulate, but it will provide the necessary safety protection at a lower cost. Eichler owner Maryhill Gleason looks forward to welcoming the natural light coming into her home. "As I am now virtually confined to my [lift] chair, I don't think I could stand it if it were not for the wall of glass here behind me," she says. "I can look out on the backyard and it is so less confining."